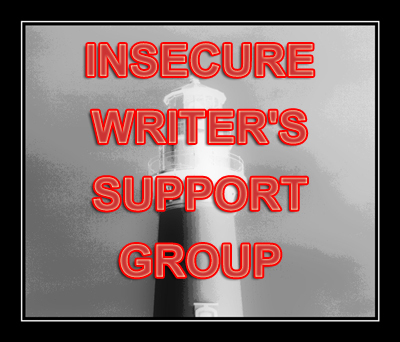 Anyway, it's time for another installation of The Insecure Writer's Support Group, which posts on the first Wednesday of every month and is run by our Ninja Captain Alex Cavanaugh. Writers can express doubts and concerns without fear of appearing foolish or weak. Those who have been through the fire can offer assistance and guidance. It’s a safe haven for insecure writers of all kinds! Seriously, I love this support group! So much is happening within our writing community and I thought I'd share my thoughts on if it is worth it to write and to have the coveted title of published author. Granted, I'm not published yet, but someday I'd like to be. We fight to be writers. We work long hours; after the kids have gone to bed, after a forty hour work week, after running and exercising, after working a second job to pay the bills, after the baby has fallen asleep in your arms and won't move... etc. It's not a rich reward at first. Writing is hard work and exhausting at times. Sometimes we just wanna print out what we've written so we can rip it to pieces and throw it away - it can be very frustrating! We write. We edit. We rewrite. We revise again. It's a never ending process. By the time we query, we love our books and hate them. We are incredibly anxious about if anyone else will love them or just hate them. And sometimes things just don't go as we planned. We get published, but life gets in the way. We can feel insecure. But we don't have to. Something I've realized this week is how incredibly supportive our writing community is. We are selfless when another writer needs help. We take help and someday hope to offer the same help to another. Writers give and take from each other. I am so blessed to be a part of this writing community and wouldn't want to be parted from all of you! As a little shout out - we are all gathering together to support Chad Morris on the release of his debut novel while he supports his nine year old daughter, recovering from a brain tumor surgery. His book, The Inventor's Secret, released on March 5th. Also, Bridget Zinn's debut novel, POISON, releases on March 12th. Sadly, she died of cancer before she could see her book published. Her husband and family have decided to put the finishing touches on her dream. And, Nick Wilford's "Overcoming Adversity: An Anthology for Andrew" is available! The proceeds go to his son, Andrew, who has cerebral palsy and wants to further his education. It's only $2.99 and for such a great cause! This is definitely a supportive writing community. I'm so glad I found it! I love how supportive this writing community is of each other. I'm grateful to be a tiny part of it. I ask myself the same question a lot, but the answer is always, "As if I have a choice!" These stories won't go away until I commit them to pixels. Who knows where this journey will take me? No matter what though, it's good to know that the IWSG has my back! You guys are amazing, and those stories make me tear up a little bit. I love how supportive you are. I love the writing community, I think it's the one reason I'm still writing today. In fact, if it wasn't for this community, I wouldn't have even started writing. The writing community has been such a precious part of my life the past three years. I wouldn't change this journey for the world. Sigh! Several people have touted the importance of a writing community this month, and I couldn't agree more. There are so many times I feel like giving up, but I'm usually just an honest blog post away from some amazing cheerleading. And I'm so grateful. it's a beautiful thing! i'm so glad i live in this internet age! I must say that I adore the writing community in the blogs. I haven't ever been to any other writing events or used another resource that's so truly helpful and supportive. I've been having these same thoughts this week. Beautiful post! What a GREAT post! Yay--Us! I love this post, so true! I feel so grateful to be part of this community of so many supportive people. I wasn't aware of Chad's book, I am going to check that out now. I hope for the best for his daughter! This community is indeed supportive! I never would've attempted a second book, let alone a third, if not for my blogger buddies. I can certainly relate to the process, the long hours of writing, editing and such. Reads like a very supportive group, something all writers need -- lots of love and encouragement. Silvia (from A to Z Challenge). Visiting from IWSG. This is a wonderful supportive community and like you, I am very happy to be part of it. Long may it continue. I'm glad to be a part of the writing community as well! Wonderful post! I also feel so lucky to be a part of this supportive community.